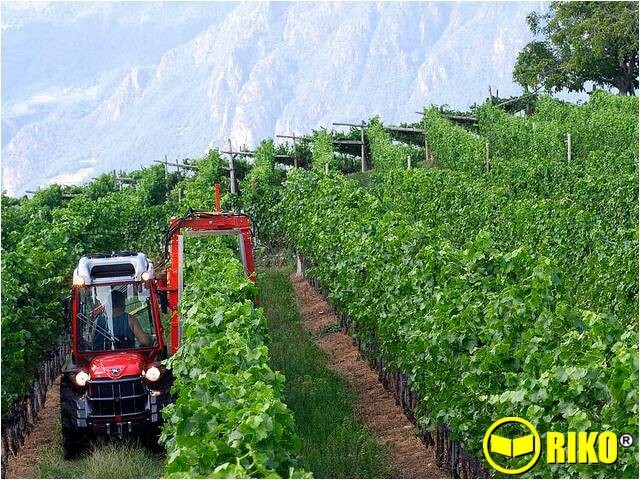 The SRX is a super-specialised tractor which can work in cramped spaces, between rows of crops, in orchards, vineyards, nurseries, and on flat or sloping terrain. 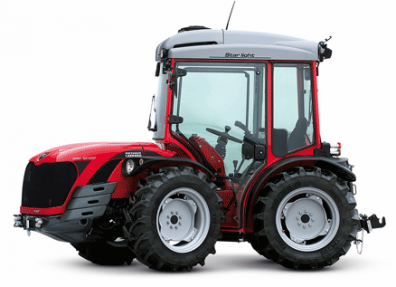 The SRX is a reversible isodiametric tractor featuring an articulated chassis and peerless agility and handiness. 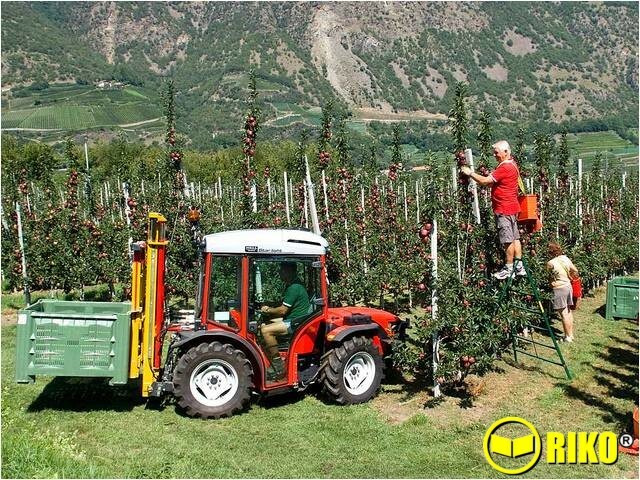 Its low centre of gravity assures unmatched stability. Thanks to its finely-tuned engines and constant ground adherence, guaranteed by the projecting engine configuration and the 4-wheel drive, SRX enjoys a stable trim in all conditions. 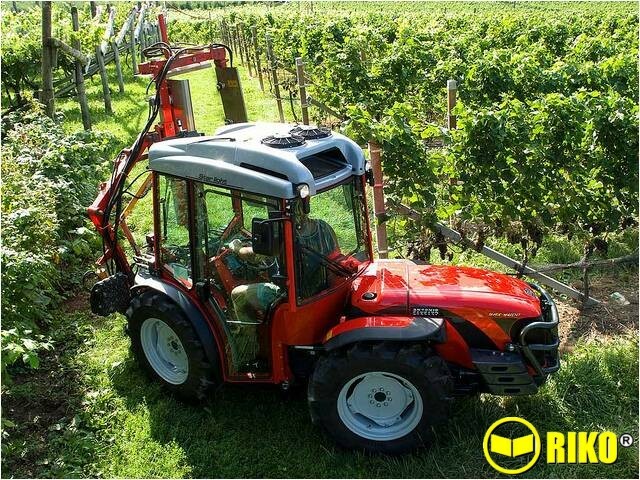 Its extraordinary versatility is determined by its reversible driving position: the vehicle can change position in order to use an extensive range of ploughing, pruning, treatment, harvesting, towing and material handling equipment. 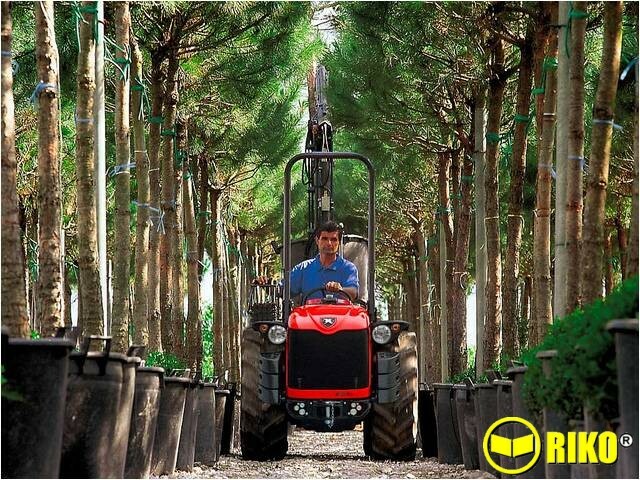 The ergonomic controls simplify work and eliminate operator fatigue and stress. Three versions: SRX 8400 - 70hp turbo intercooler (direct injection with high pressure rotary pump; EGR system and silenced injection system with lateral power take-off for tandem hydraulic pump); SRX 9800 - 87hp - 4 cylinders turbo, 3300 cc, balance shafts with direct injection system and electronically governed EGR; SRX 10400 - 96hp with intercooler.